Sufism has always sought to be pluralistic, inclusive and ecumenical in relation to all faiths. In the last few years, a type of strict literalism has taken over many Islamic communities and many people have been kept from the inner meaning of the Qur'an and the real spiritual satisfaction of religion. Supporters of this kind of literalist interpretation have gone against the facts of history. Actually, the purpose of outward devotion has been to attain to God-awareness and inner meaning. Aisha, the Prophet's wife, was asked about the state of the Prophet. She replied that in every state he invoked God. The People of the Way have always claimed that the Qur'an is the fundamental document that reveals the way of spiritual inspiration, the miraculous portal into the spiritual life through which one can know God through His Love, Existence, and Mercy for all creatures. For God has stated: "My Mercy encompasses everything." The religion of the People of the Way is the religion of Love, the religion of gnosis, the religion of spiritual mysteries and the love for God and his Prophet. The Sufi way is a path of turning away from passing phenomena and bringing one's full attention to the Source of phenomena. It is because of this perspective that the Sufi is addressing the heedless materialist. The latter may be just, constructive in the community, and outwardly creating a better world, but if unaware of the purpose of his own existence, he is lost. This purpose is summed up in an often quoted divine statement, "I was a Hidden Treasure and I loved to be known. I brought forth creation that I would be known." Abdullah Ibn 'Abbas has in his commentary on the Qur'anic verse, "And I have not created the jinn and humankind except to worship Me," to mean "except to know Me." God has said in the Qur'an: "There is rust upon their hearts from what they are acquiring." When individuals become lovers of God, their hearts are polished and cleared of stains and turbidities. The heart of the human can then be a mirror in which God is seen. A person can, in this way, witness God in his or her own heart. This is confirmed in the hadith qudsi (extra-Qur'anic revelation) that "My earth and my heaven do not contain Me but the heart of my faithful servant contains Me." God wants to make Himself known in the existences of His purified servants which are also His theophanic mirrors. The brilliant theophanies of the Mercy of God cause His lovers to become selflessly lost in Him just as they make themselves completely selfless to receive Him." the fragrance of God is coming to me from Yemen;"
The scent of the Merciful is coming from Uwais. his earthly nature had become celestial. When they asked the dying Prophet (Peace be upon him) to whom they should give his patched cloak, he answered to Uwais Qarani. The founder of our path was Ustad Raz Mohammed Zaray, may Allah's Mercy be upon him. 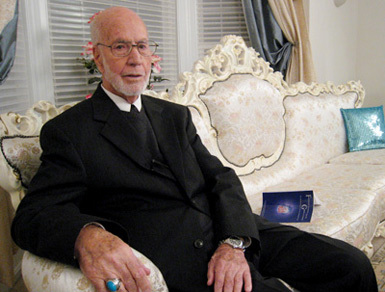 Raz Mohammed Zaray was born in Afghanistan in the early twentieth century. As a devout youth, he yearned for a deeper understanding of Islam's spiritual message. He sought out the company of God's friends, and carefully studied the Qur'an and the ahadith where he discovered the spiritual orientation and devotional practices which ultimately led him to a deep spiritual understanding of life's purpose. "As a young man I studied the Qur'an and tried to understand it. I felt love for the Prophet Muhammad (Peace be upon him) and I came to understand that the verses of the Qur'an have special power. I had a dream in which I saw clearly the phrase, 'In the name of Allah, the Compassionate, the Merciful' written in luminous gold. I went to an assembly of local Sufis and told them of my dream. One Sufi told me to continue reciting what I had seen and this became my zhikr. This is how I started on the Sufi path. My heart opened at which point I began to have dreams of the prophet Muhammad (peace be upon him) guiding me, and I once dreamed that Hazrat Ali was speaking to me from inside a box with a glass face, not unlike what we later came to know as the television." This kind of mystical linkage to prophets and saints is called the Uwaisi path: "Some of the visions were quite extraordinary. One night I felt the most tender kisses on my face and my whole being became ecstatic. I was alone at the time in my room in Texas, America, and no one else was physically present. I said nothing about this for a very long time until I ran across a poem by Maulana Rumi which revealed that he had had the same experience:"
There was bountiful wine but no goblet; Kisses upon kisses but without any lips! Within the obvious are powerful hidden meanings. in which thinking and logic are lost in amazement. in which entirely vanishes all thought and reasoning. to be counted from this sheltering prophetic saying. The demon sees the form of Adam as mere clay.